Don’t take our word for it, see for yourself how we can change your skin. Get visible results using prescribed home care and in salon treatments for any skin care concern. This client presented with quite deep lines across the forehead. Note the pigmentation in the top left corner. 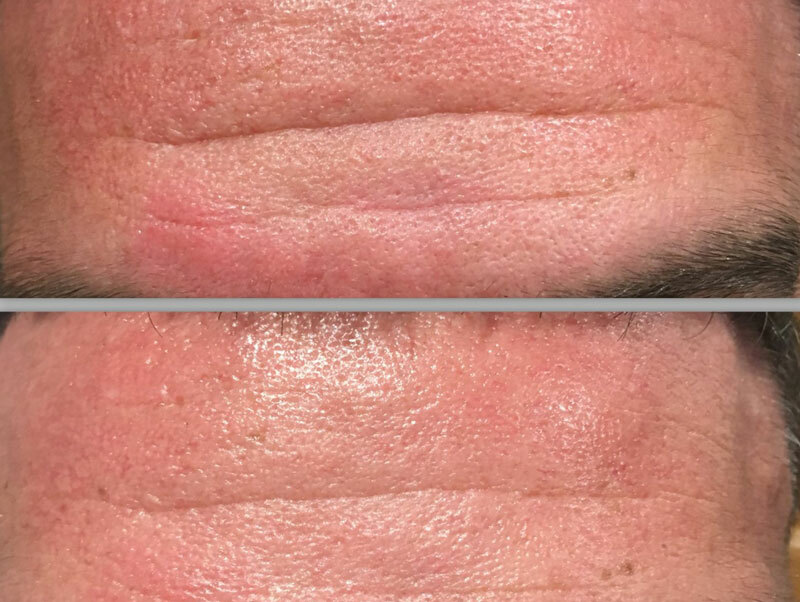 After just 6 weeks with ONLY using the Dibi Milano Filler Serum the results are astounding, The deep line in the middle is half the depth of what it was, the fine lines on the edges are nearly gone and the pigmentation has dramatically lifter also. These results would be more accelerated with in salon treatments. This client presented with a Acne and Congested Skin. She used the prescribed Ultraceuticals home care and had two courses of the Vita Clear Skin Workouts and one course of the A-zyme Skin workout. You can see in her after pictures only her acne scarring remains which was then treated with a course of Skin needling. This client presented with a Acne Skin. 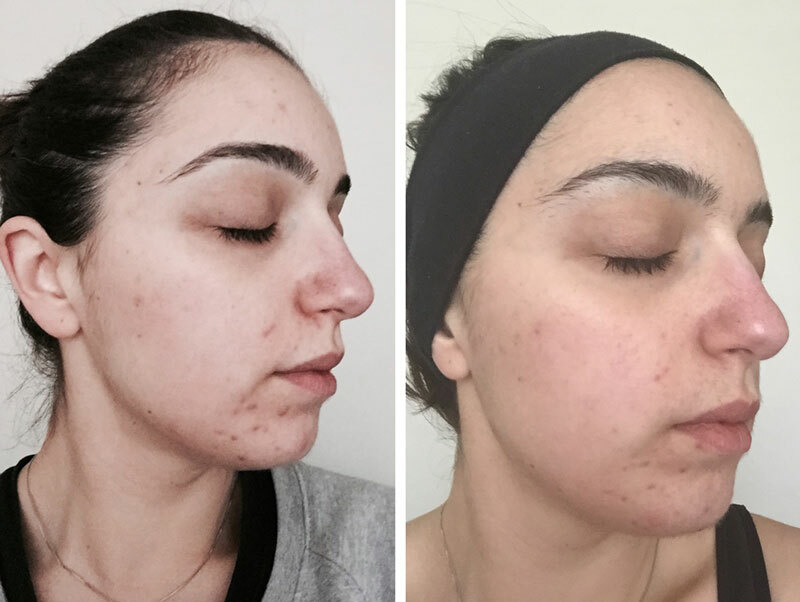 After prescribed home care of the Ultraceuticals Acne & congestion range with Vitamin A and one course of Vita Clear Skin Workout, her results were considerably improved and a more refined skin. Both Nat and Karlie, make you feel instantly welcome! “In the past twelve months I have been fortunate enough to be introduced to Ultraceuticals skin care by my wonderful beauty therapists. The salon has been under new ownership for this past twelve months and the girls conduct the business with such professionalism, yet a relaxed caring attitude. Both Nat and Karlie, make you feel instantly welcome and at ease with all treatments and services they provide . Professional operation that has a really great vibe to it! ” Nat and her staff at Just Breathe run a friendly and professional operation that has a really great vibe to it. I have always felt totally looked after in the best possible way because of their excellent skills, sanitary conditions and attention to detail. Just Breathe uses what I consider are the best quality products and are very knowledgeable about all aspects of those products and how they might work for me. I feel like a million bucks when I walk out of this place after an appointment. That’s not only because of the great job they do for me at Just Breath but because everyone there seems to take inspiration from the best things in life and share that along the way. As a lazy man, it takes a lot to inspire me to care about managing my skin, but they do that at Just Breath somehow and I feel years younger for it. 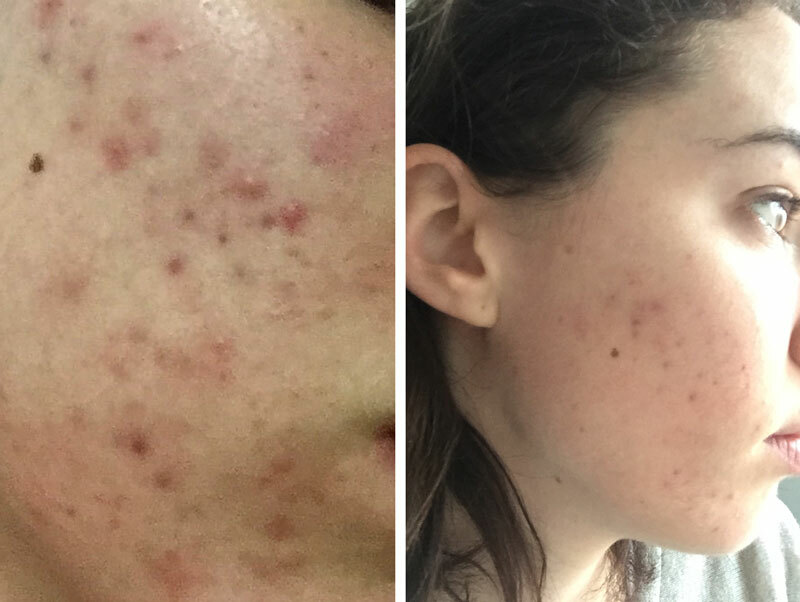 ” After getting fed up with my acne and trying so many different products I contacted Nat at Just Breathe after being recommended to trial the Ultraceuticals products. From day one both Nat and Karlie have throughly talked me through all processes, procedures and products. They are always so friendly and understanding and I now look forward to catching up with the girls. We can have some great laughs and I always feel comfortable trusting the girls opinions. Over the past 10months we have worked together through at home care and numerous treatments in the salon to achieve fantastic results. I am now much more confident and proud of all the hard work at achieving great skin through my Ultraceuticals journey. ” My journey with Ultraceuticals skincare at Just Breathe Urban Skin Bar commenced with a Vita-Repair Facial to boost my skin’s hydration moving on to a series of Vita-Repair Skin Workouts to resurface the skin and improve moisture levels. Throughout these treatments I enjoyed the feel of the products on my skin and my first purchase was the Ultra Brightening Foaming Cleanser closely followed by the Ultra B² Hydrating Serum which I ensure I always have on hand. During one of my visits to the salon I noticed bottles of Ultra Red-Action Complex and as I have suffered from facial redness for most of my life decided to purchase a bottle although I was sceptical about its success. The result – redness reduced! Now my entire skincare regime morning and night is comprised of Ultraceuticals.